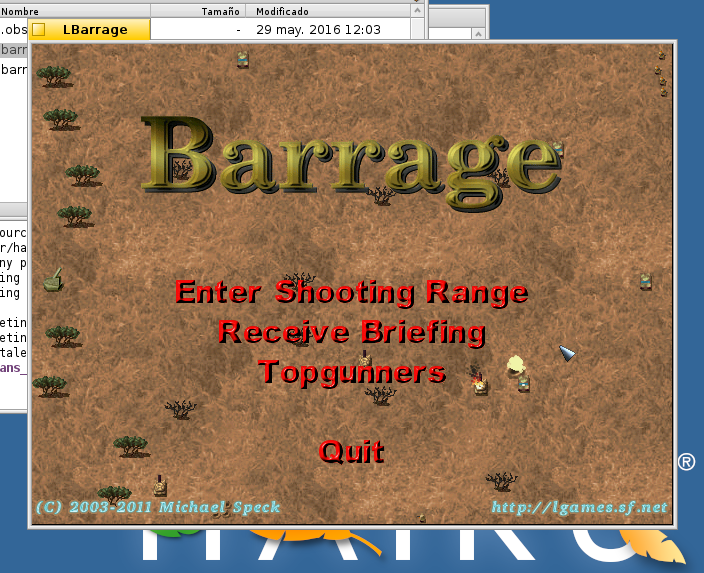 LBarrage is an action game. Your objective is to destroy tanks. 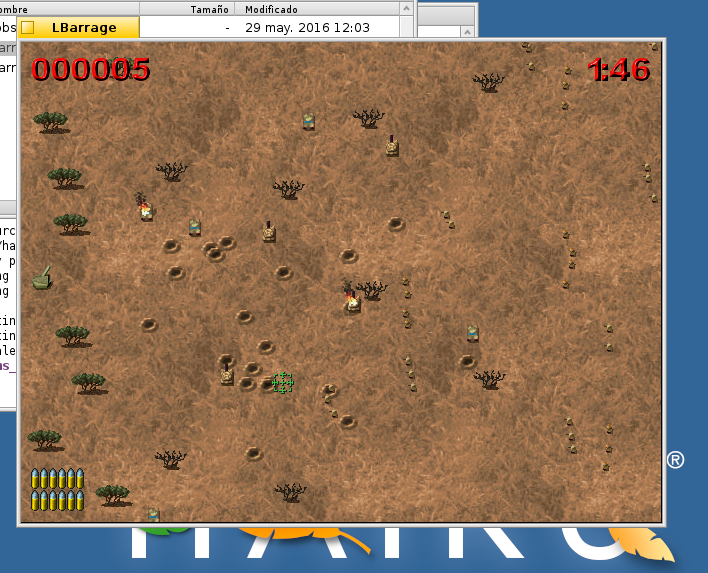 You are in a tower defense and you can’t move but you can launch your missiles and attack them. There are different types of tanks, each one with different properties of speed and score. Left click to shoot and right click to recharge. This game is another one from LGames and Michael Speck. It’s under the GNU GPL v2 license. Although LBarrage is on HaikuPorts official repo there isn’t a binary package available to download. If you have the HaikuPorts ports tree installed with HaikuPorter you can build the package.